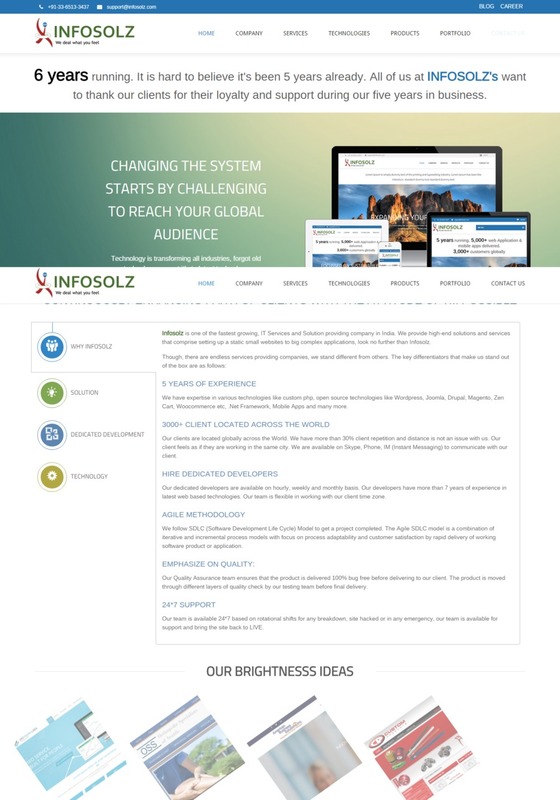 Infosolz Consultancy and Services Pvt. Ltd.
We are the expert designers and developers of Web-site. We also design and develop Mobile Applications for our clients. Our charge is very feasible and you can also hire our resources as dedicated hiring. This is the landing page of our website.